The "Happy Me Atlanta" tour is a must for people who enjoy history, art, and museums. Highlights include Fernbank Museum of Natural Science, Rhodes Memorial Hall, and Atlanta's Monetary Bank Museum, presidential libraries, and more! This full day tour has two parts--you also have the option of going on a half day version of this tour. Fall & Winter 2012 Sale: Call 1 (888) 202-TOUR (8687) for more details! Call 1 (888) 202-TOUR (8687) for more details!Call 1 (888) 202-8687 or (404) 577-8687 for more details! Groups: Call now for special pricing for your group of 8 or more! Individuals (Parties of 4 or less): Get an instant $5 off by booking now! Part 1 of "Happy Me Atlanta" can be booked as a stand alone tour. The first half of the "Happy Me Atlanta" tour begins in the Midtown Atlanta area. 9:00AM Enjoy breakfast at your hotel. Learn about historical Peachtree Street and see a variety of residential and commercial properties, some of which are owned by well-known celebrities. Tour the Atlanta Fed's Monetary Museum, where you'll discover the fascinating story of money—from barter to modern times. Tour the Margaret Mitchell House and Museum, the home of author Margaret Mitchell who is best known for her novel Gone With The Wind. Learn interesting facts about nearby points of interest, such as the Wimbush House, Atlanta Food Truck Park and Market, Woodruff Arts Center and High Museum of the Arts. 11:30AM Hop-off at Rhodes Memorial Hall (also known as Rhodes Hall), a historic house museum that was once inhabited by furniture magnate Amos Giles Rhodes, proprietor of Atlanta-based Rhodes Furniture. **For Fall / Winter 2012, the Atlanta Food Truck Park and Market is only available for lunch on Thursday through Sunday. Tours conducted on Monday, Tuesday, or Wednesday will feature lunch at the Peachtree Center Mall. ***Groups opting to dine at a restaurant at Peachtree Center Mall will depart from the mall around 3:00PM, not 2PM. 2:00PM Board bus and return to Tours of Atlanta Bus Station. For groups on a half day tour, this marks the last stop of the day. Why not do some more exploring outside of your hotel or, if you need to relax, watch a DVD in your room? Groups on a full day tour will unwind, check out our Travel Shop, and take pictures at the station prior to departing for the second half of the tour. Part 2 of "Happy Me Atlanta" can be booked as a stand alone tour. The second half of the "Happy Me Atlanta" tour takes visitors to an area of Atlanta known as Virginia Highland. 2:40PM Tour the Jimmy Carter Library and Museum, which houses U.S. President Jimmy Carter's papers and other material relating to the Carter administration and the Carter family's life. 3:35PM Tour the Fernbank Museum of Natural History, a museum that presents exhibitions and programming about natural history that are meant to entertain as well as educate the public. 5:25PM Dinner at a Virginia Highland area restaurant. Virginia Highland is famous for its bungalows and other historic houses from the 1910s-1930s. It has become a destination for people across Atlanta with its eclectic mix of restaurants, bars, and shops and for the Summerfest festival and other events. To view more about restaurants in the Virginia Highland area, visit here. We'd be glad to customize your group's experience and include the Virginia Highland area restaurant of your choosing. 6:35PM Tour concludes for the day. Need suggestions for post-tour activities? Check out our list of fun things to do at your hotel. 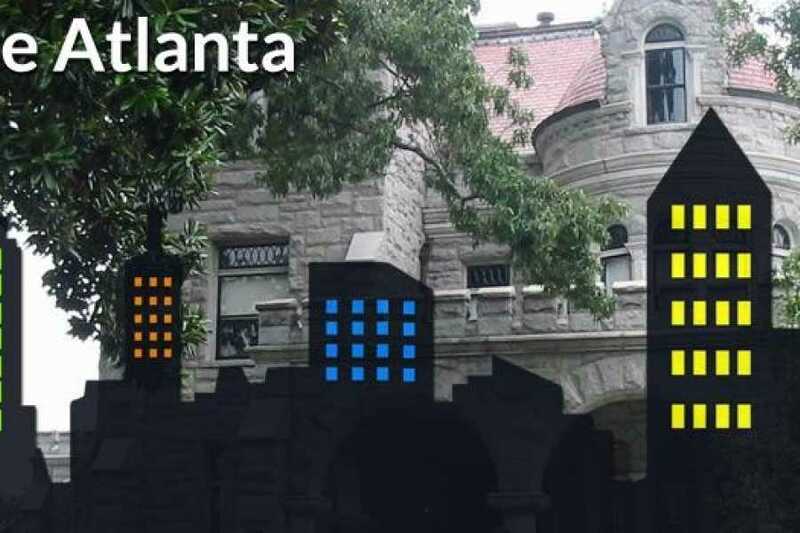 Tour routes are frequently updated to include the best attraction’s Atlanta has to offer. View the half day version of this tour.